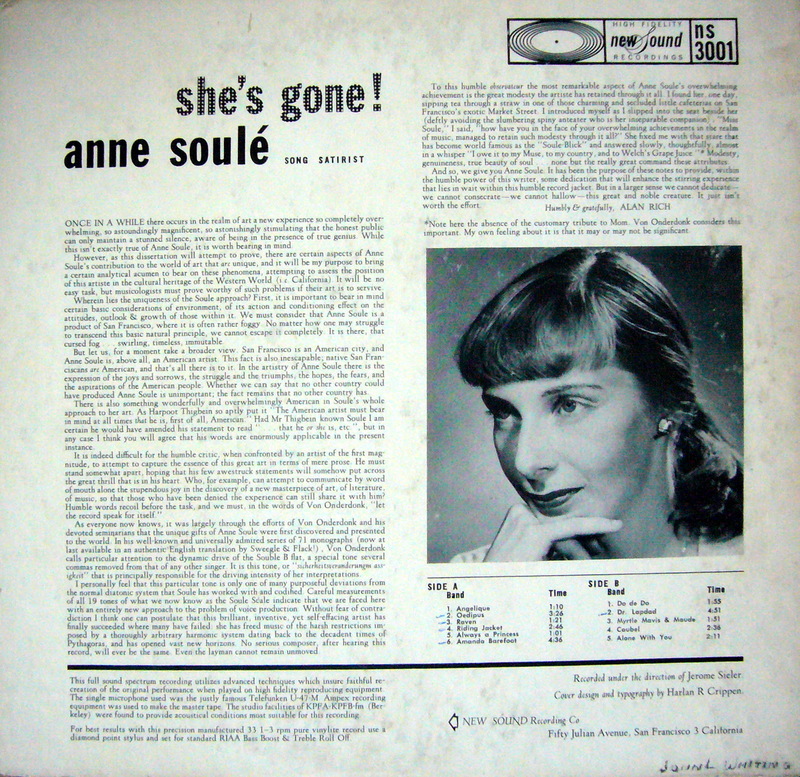 Soon after I transferred to Cal Berkeley in 1952, I encountered and was immediately overwhelmed by a dynamic young song satirist named Anne Soulé. Her father was Professor of Greek at Cal San Francisco, which helped to explain her easy erudition. In Robbie’s, the all night coffee bar, she would hold us spellbound at the piano, singing, chatting, or merely scintillating. I dated her a couple of times and it was as if I'd won first prize in a raffle—an evening with the companion of my dreams! It never went beyond that, but it’s probably just as well. 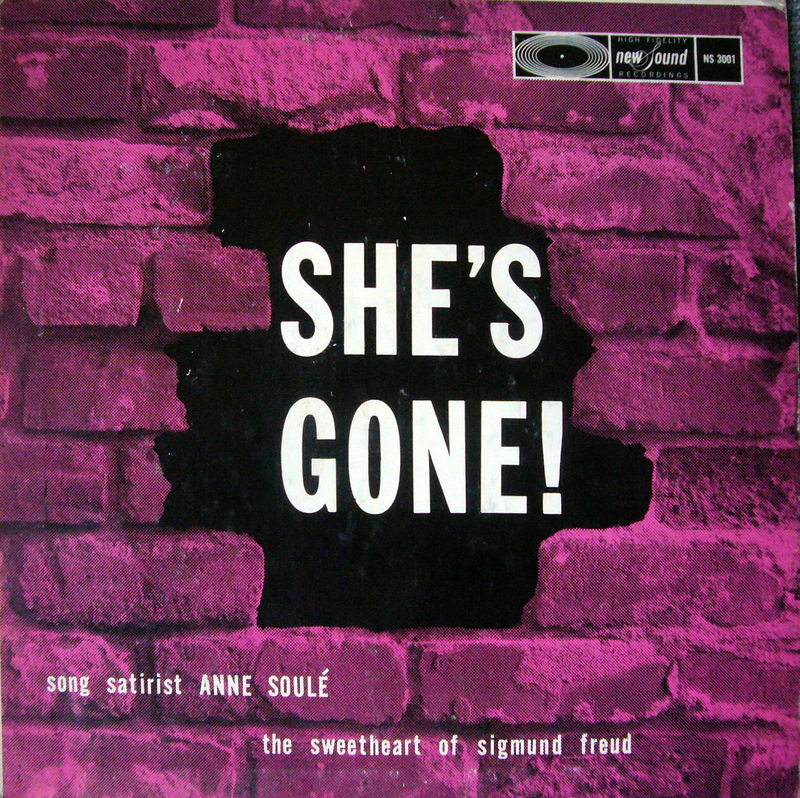 If she had made love the way she talked, sang and played the piano I might have gone the way of my composer friend Barry Anderson (but that's another story). I didn’t know it at the time, but Anne was a friend of Alan Rich, a name that would resonate through the rest of my life until last year, when I wrote his obit for the Guardian. 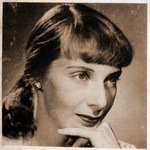 Alan was the Music Director at KPFA and so was able to book her into their music studio to record an LP. (How long ago that was is indicated by the fact that it was a ten-incher!) I eagerly acquired a copy, which was one of the select few that I chose to bring with me when I moved to London. Years ago it mysteriously disappeared until yesterday (this is written early in 2011), when I found it slipped to the back of the shelf between two twelve-inchers. 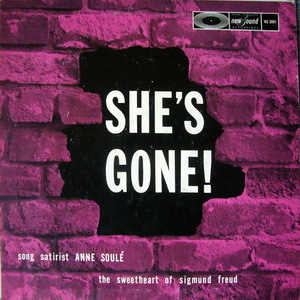 Back when it was produced at KPFA it was also broadcast, and so it’s quite legitimate that this website should be Anne's final resting place. Alas, she came too early for the Internet—if you search her name, this page will be the only hit. But that’s my mission in life—preserving the memories of a handful of people who, in one way of another, are too good to be forgotten.